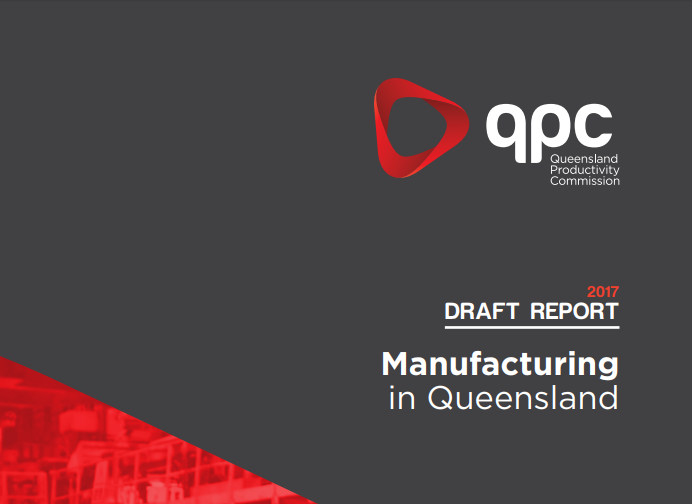 The Queensland Productivity Commission – the State’s independent economic review body – has released a draft report into the state’s manufacturing sector identifying policy options to improve the productivity and competitiveness of the sector. According to the report, Queensland ‘s 16,400 manufacturing businesses employ nearly 170,000 people; make up 6.7 per cent of the state’s economy and contribute about $19.7 billion to the state economy annually. Treasurer and Minister for Trade and Investment, Curtis Pitt, has welcomed the report stating that the growth of manufacturing will boost the state’s economy and create new jobs. “I want to reassure workers in traditional manufacturing industries that the Queensland Government understands their concerns about the future and the future of the sector. That is why we made an election commitment for the QPC to undertake this important investigation,” Mr Pitt said in a media release. According to Mr Pitt, until the QPC’s final report is submitted, the government will not adopt any of the proposed draft recommendations; the final report is to be presented to the government by the end of October. “I would like to acknowledge the participation of stakeholders to date and QPC’s analysis which has produced a draft report which outlines possible steps the government could take to assist manufacturers through broad-based reform in areas like cost pressures, increasing productivity, and improved coordination and streamlining of government support programs,” he said.